Lost in the collapse of Under Armour Inc (NYSE:UA) stock over the past year is an odd divergence between two classes of stock. Shares of UAA stock (Class A) have traded at a substantial premium to UA stock (Class C). The difference is about 10% at the moment, in fact. That gap makes little sense. Class C UA stock has no voting rights. Class A UAA stock does have voting rights of one vote per share. But those rights don’t have much value. CEO and founder Kevin Plank owns all of the non-trading Class B shares, which have 10 votes each, giving Plank 65% of the voting power as of December 2016. UAA shareholders are paying a premium for votes which are largely symbolic. And it’s not as if other considerations justify that gap. The market is figuring out the divergence, as the 10% premium has narrowed of late. But there’s still time for easy profits in shorting UAA and going long UA. As for investors bullish on Under Armour, there’s basically no reason to pay up for the UAA stock. As seen in the chart below, the gap between UA and UAA has narrowed of late, after peaking in November. At one point in late November — less than a year after the Class C UA stock was issued – the gap was over 20%, a huge number. In dollars, the difference has dropped to near $2 per share from as high as $7 — but some of that compression has come from the fact that Under Armour stock has declined precipitously after two disappointing earnings reports. With the largely symbolic voting rights not likely to change anytime soon, there’s simply very little reason for UA to trade above UAA. According to the registration statement filed by Under Armour with the SEC, Class C holders of Under Armour stock are entitled to the same dividends. The only way for Class A shareholders to gain some sort of majority voting power would be for Plank to be terminated for cause or to give up his shares. Neither outcome seems particularly likely given that the CEO is 42 years old, intensely competitive, and intent on turning around his beloved Under Armour himself. Liquidity doesn’t justify the different prices for Under Armour stock, either, with one possible exception. There was a notable divergence in equity volume a few months ago. UA stock had an average volume under 1 million shares per day in October, roughly 20% of UAA stock. But volume over the past month is almost equal: 6.5 million shares a day for UA and 6.9 million for UAA. The increase in UA volume probably has something to do with the narrowing premium and implies that the spread will continue to tighten. There is one notable difference between UA and UAA: options volume. For instance, open interest in the UA Jan 2018 $20 puts is just over 400. In contrast, there are more than 11,000 UAA Jan 2018 $20 calls open at the moment. That difference is not enough to justify a 10% premium, however, particularly for smaller investors. And it seems the market is figuring that out. But the gap remains wide enough that there’s still room to make what should be close to risk-free profits by going long UA and short UAA. Any major event — like an acquisition, as unlikely as that seems at the moment — will treat shareholders equally. Any dividend payments will be the same. The only difference between UA and UAA is the opportunity to vote even though those votes have no practical impact. So an arbitrage trade still looks like it has some upside. Voting rights between classes at other stocks usually are below 5%, meaning a long UA/short UAA trade could make another $1 per share with very low risk. For investors who still think Under Armour stock is a better opportunity, then Class C UA stock is the right choice. The premium for UAA stock simply doesn’t make a lot of sense — and it’s still wide enough to profit from. The author is long UA and short UAA. 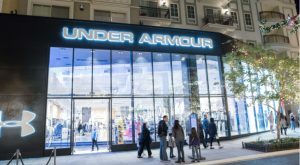 Article printed from InvestorPlace Media, https://investorplace.com/2017/02/under-armour-inc-ua-stock-offers-the-easiest-profits-ever/.